Looking for a way to remix the pieces in your wardrobe? 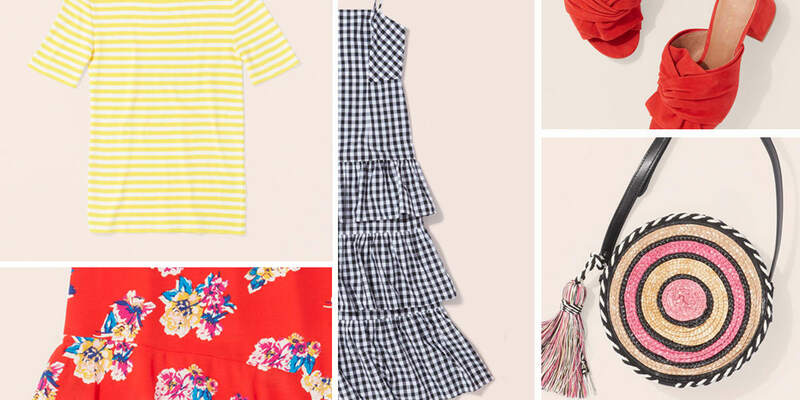 Get creative and have fun with your outfit by pairing unexpected prints for maximum style worthy of the ‘gram. If you’re not sure where to begin, remember these two tips that’ll help you nail print-mixing every time. Always pair a small-scale print with a large-scale one to avoid overwhelming the eye. It can even be the same one—mixing prints doesn’t always have to mean mixing two different prints. A common color story brings two prints together for a cohesive overall look. Black and white is an easy combo to start with, but if you prefer something bolder, try different tones of the same color. Scroll on to see how we put these rules to work with two different looks. If this still seems daunting, start with a look that doesn’t require a lot of commitment. 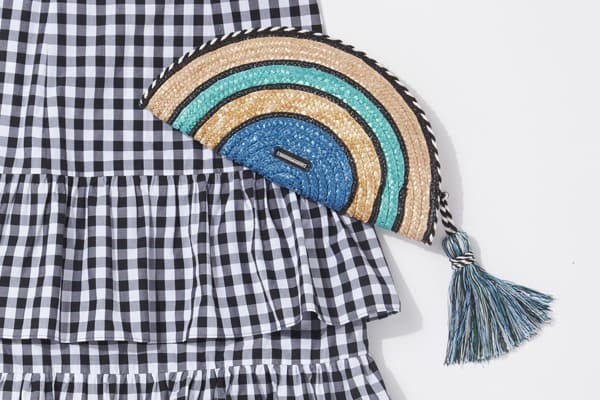 Accessorize a printed dress with a statement bag to mix it up without going all in. 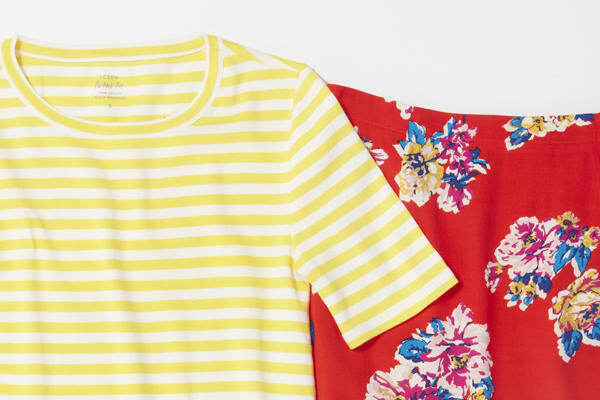 Get creative by pairing bright colors and bold prints together. 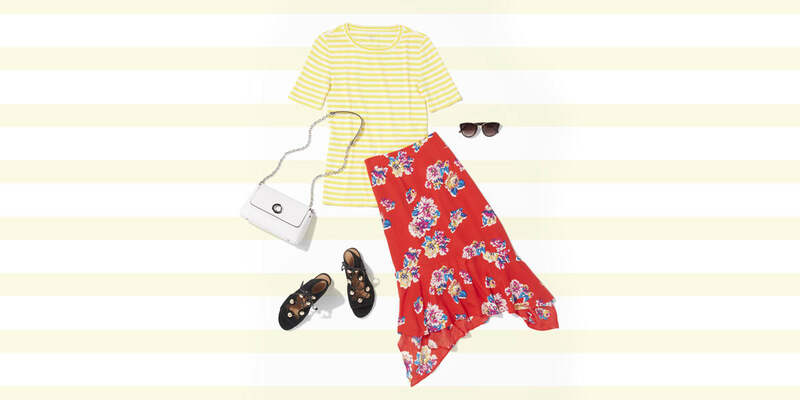 The large flowers in the skirt are balanced by the smaller stripes in the tee, and the white and yellow hues in each piece bring it all together.